Miraget offers you a convenient and easy way to integrate Drupal and Google Big query with no coding. 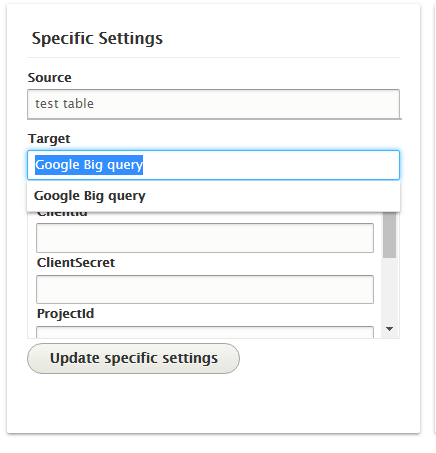 With Miraget you can integrate Drupal with Google Big query in a number of ways. If you need to load data in one direction, you can use Miraget plugin. For loading data in both directions, Miraget offers powerful data synchronization services.